On a cold and cloudy Sunday morning, when the roads of the Russian capital wore a deserted feel, thousand Muscovites ran in the city’s first marathon. 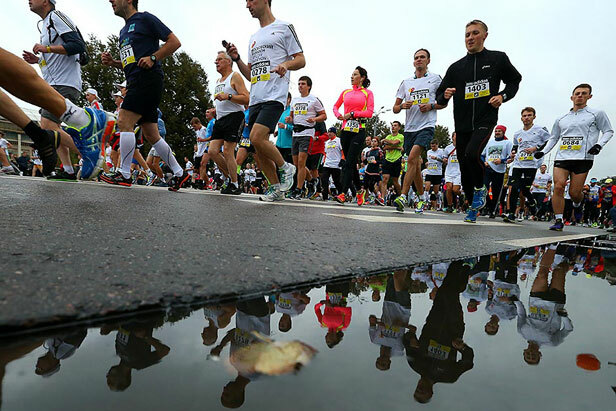 On a cold and cloudy Sunday morning, when the roads of the Russian capital wore a deserted feel, thousand Muscovites ran in the city’s first international marathon. 42 kilometres and 195 metres around the city and together with the whole city. A marathon is not just the kilometres to run from start to finish. A marathon is the history in which everyone who crosses the finish line is the winner.